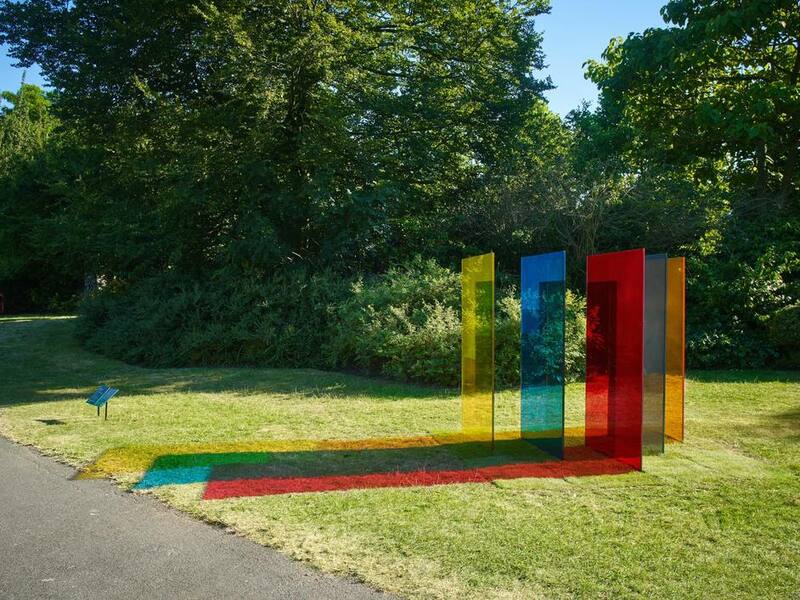 Frieze Sculpture returns to the English Gardens of Regent's Park for three months from summer until the end of Frieze London, featuring works by 25 contemporary and modern artists presented by world-leading galleries. The free-to-view sculpture trail is the most accessible part of London's biggest art fair with more than five million people visiting last year. This year's crop, selected and placed by Clare Lilley, Director of Programme at Yorkshire Sculpture Park, includes a series of Pan African Flags, a group of crouching figures, street-lamp sculptures and Tim Etchells's new text-based work, Everything is Lost. Step inside a glass pavilion, discover the new, monumental Optic Labyrinth by Conrad Shawcross and take the kids to see the penguin. Frieze Sculpture Rana Begum No. 814, 2018, The Third Line Jhaveri Contemporary Kate MacGarry and Galerie Christian Lethert, Frieze Sculpture 2018. Photo by Stephen White. Courtesy of Stephen White/Frieze. What are the best dining options near Frieze Sculpture London? Frieze Sculpture gyms, sporting activities, health & beauty and fitness. The best pubs near London Frieze Sculpture. Frieze Sculpture clubs, bars, cabaret nights, casinos and interesting nightlife. Where to have your meeting, conference, exhibition, private dining or training course near Frieze Sculpture. From cheap budget accommodation to luxury 5 star hotels see our deals for Regent's Park hotels, including Holiday Inn London Regent's Park from 80% off.